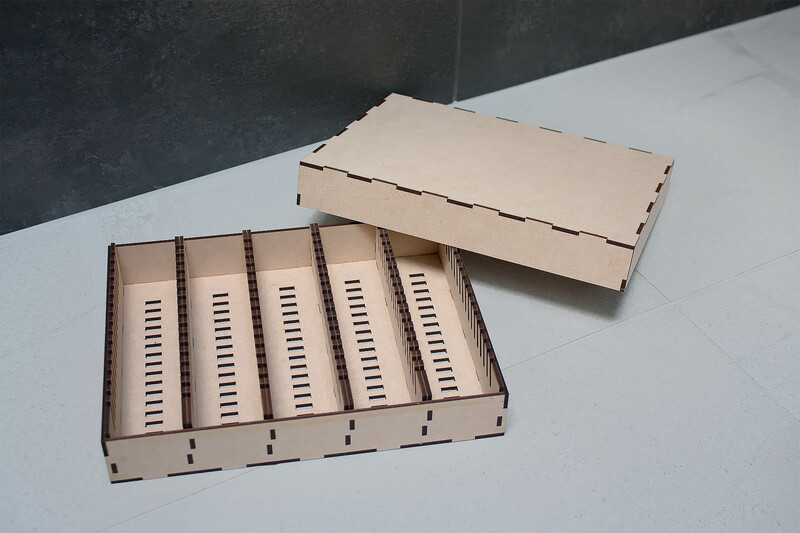 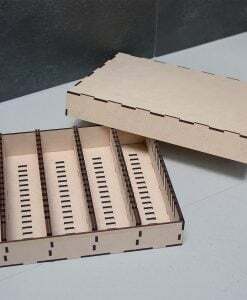 The Mini European Card Storage box is suitable for storing and organising cards for games using the Mini European card size (44x68mm). 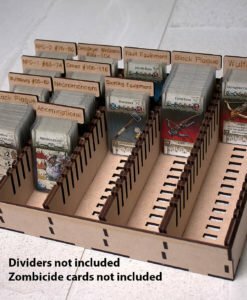 Mini European card box is able to hold sleeved or unsleeved cards and can hold approximately 1250 sleeved cards, or 2500 unsleeved cards. 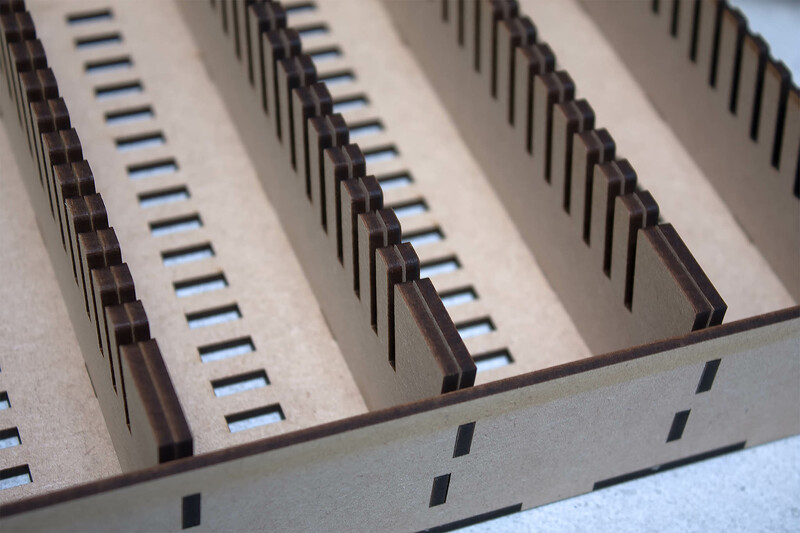 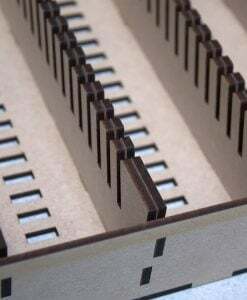 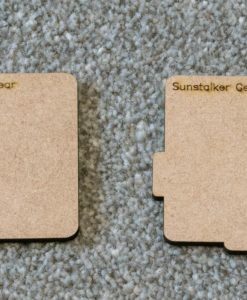 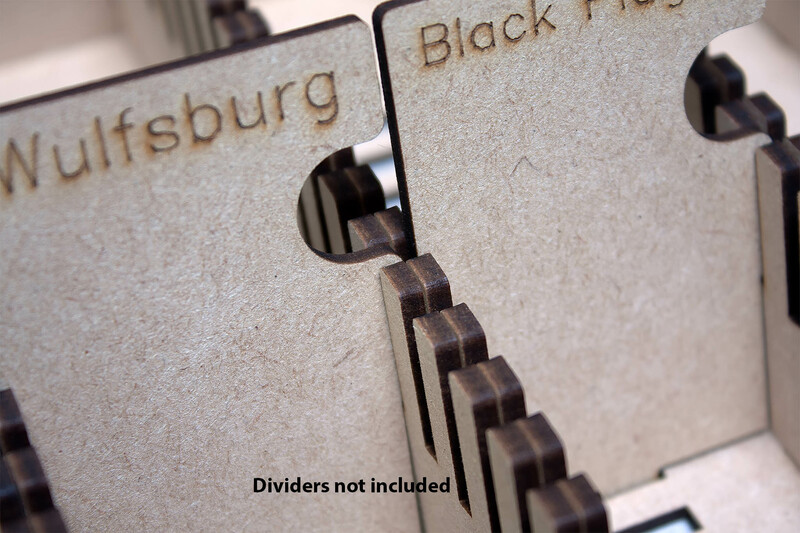 Dividers reduce the number of cards that can be stored by approximately 5 sleeved or 10 unsleeved cards per divider. 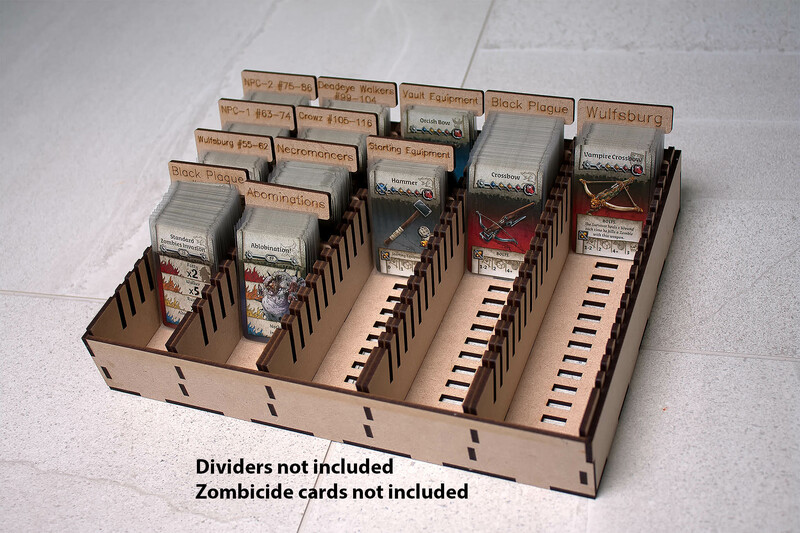 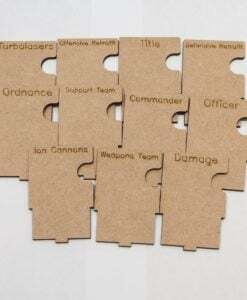 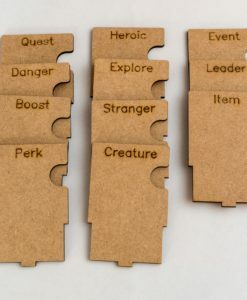 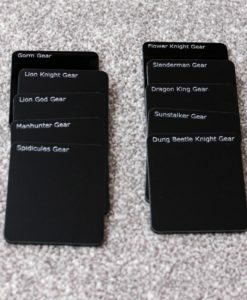 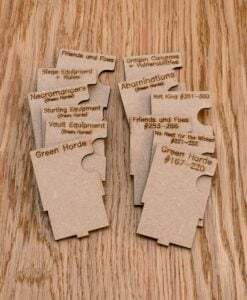 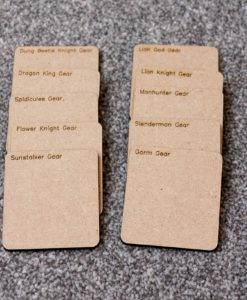 Don’t forget to order either a blank set of dividers, or a set customised for the game of your choice! 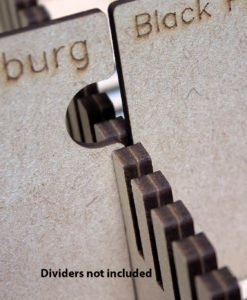 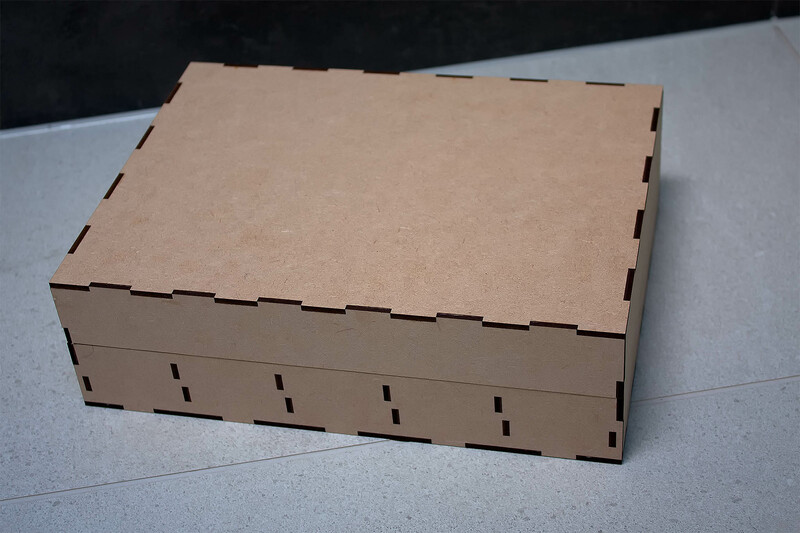 If you would like a logo/artwork engraved in the lid of the box, select the appropriate option and provide details in the comments box on checkout. 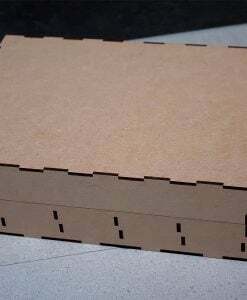 289 x 206 x 87 mm. 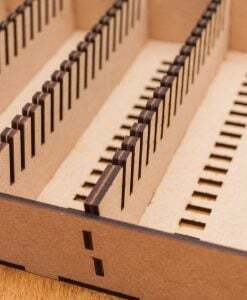 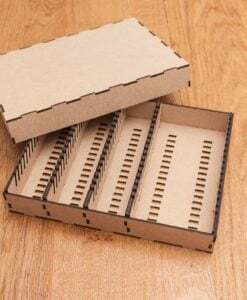 Box is provided flatpack and will require wood glue for assembly.